If you’re in the market for a new pillow, you might want to consider the Coop Home Goods memory foam pillow, an affordable option that’s touted as customizable for sleepers of all shapes and sizes. I’d heard a lot of hype over the Coop Home Goods pillow and couldn’t wait to give it a try myself. Made from quality materials and available for a reasonable price, this memory foam pillow had a lot going for it from the get go. Want to know if it was as great as I’d heard? Continue reading for my full review of the Coop Home Goods memory foam pillow. Not enough time to read my full review? No problem. Just click here to skip to the review summary instead. The Coop Home Goods pillow is stuffed with shredded visco elastic memory foam. The construction of the pillow provides greater airflow than a solid piece of memory foam does. One of the great things about this pillow is your ability to adjust the filling to achieve the ideal loft for you (by removing it or adding it back in). 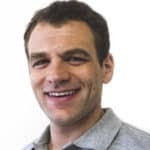 While I initially found this pillow’s loft to be too high for my liking – as proven by my cricked neck the next morning – removing some of the foam resulted in a much more enjoyable and comfortable sleep. Something I really like about the Coop Home Goods pillow is the fact it comes with a removable viscose rayon cover designed to help sleepers stay cool while they sleep. The manufacturer uses a proprietary blend of polyester (60%) and bamboo (40%) designed to regulate your temperature. Not only is the cover machine washable (a huge plus), but it has a plush feel to it and a fun triangle design embossed on it as well. The inner case (which surrounds the actual filling) is made of Interlock fabric, providing a tight knit and smooth surface. The case itself is plain white and much thinner than the outer cover. I found the Coop Home Goods pillow to be soft but supportive. It contours to your neck in the moment, but allows you to change sleeping positions throughout the night. Surprisingly, you cannot feel the individual memory foam pieces. They act as one piece, but offer a little more give and adjustability than a continuous piece of foam would provide. 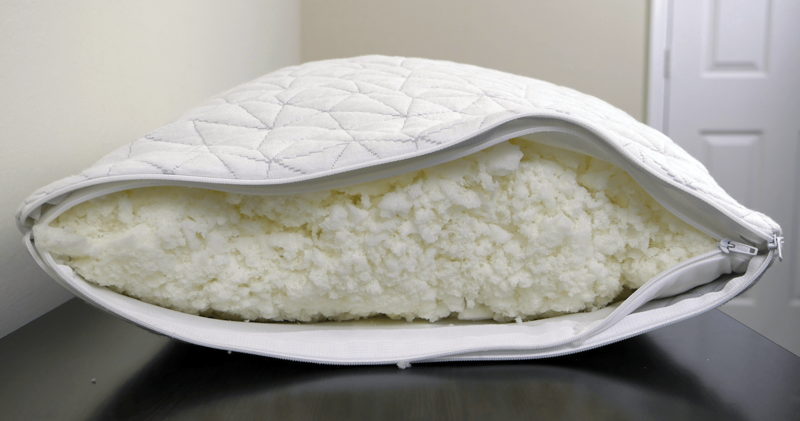 If you feel the Coop Home Goods memory foam pillow going flat, according to the manufacturer, you can simply stick it in the dryer for 10 minutes to fluff up the filling again. The manufacturer actually recommends you do this once a month to maintain maximum performance. While I liked this pillow a lot, my wife – who sleeps on her back and side – didn’t find it to be as malleable as she prefers. Even after removing some of the foam, it didn’t provide quite the adjustability she was looking for. In addition, too much foam didn’t give her the right neck alignment, but too little and there wasn’t enough support (her head was sinking). That said, I should note that my wife really isn’t a fan of most memory foam pillows. So her results weren’t terribly surprising to me. To enjoy this pillow I feel like you definitely need to be a fan of memory foam. Even though it’s a shredded memory foam it still has a classic memory foam contour and hugging feeling to it. Some love this feel, some just don’t. Make sure you’re comfortable on memory foam before ordering. Is the Coop Home Goods pillow the right choice for me? Want customizable support – A zippered case provides total access to this memory foam pillow’s filling, so you can achieve your desired loft by removing or adding filling back in. 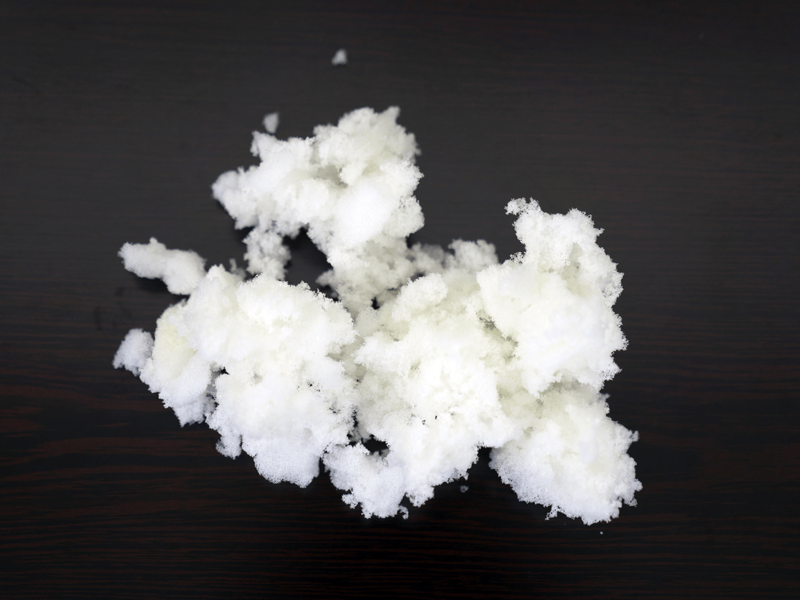 Like the breathability of shredded memory foam – Shredded memory foam provides a nice balance between the contoured feel of memory foam, but with better breathability and cooling (especially compared to solid block memory foam pillows). 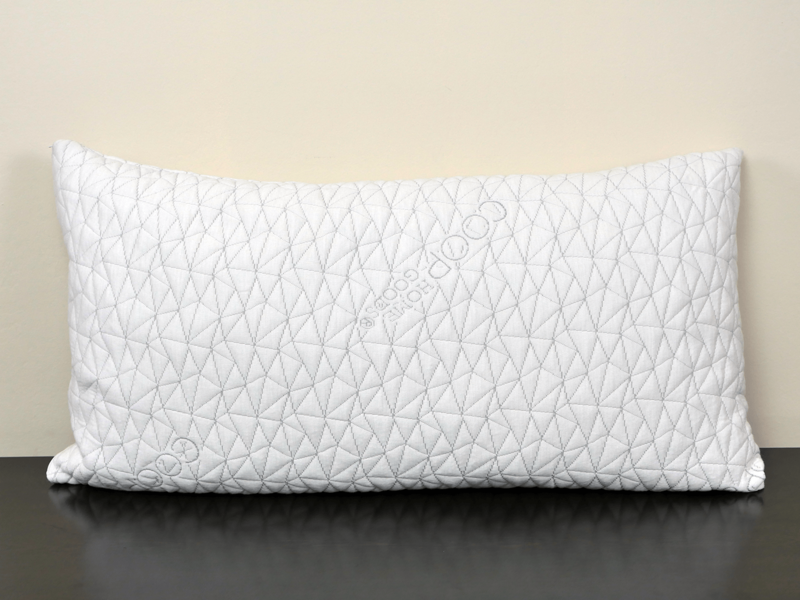 Need a hypoallergenic option – The Coop Home Goods memory foam pillow is resistant to allergens and dust mites. In addition, its contents are CertiPUR-US certified, meaning they’re made without using a bunch of gross stuff like ozone depleters, mercury, lead and heavy metals, formaldehyde, etc. For more on the Coop Home Goods Pillow check them out on Amazon. The Coop Home Goods pillow is an excellent value for the money. The pillow has a removable cover, interior and exterior cover, machine washable, and is fully adjustable. That’s a lot of functionality in a pillow that’s only $52. The feel is still distinctly memory foam, so ensure that you’re a fan of memory foam’s hug and contour. Even being a shredded foam it still maintains it’s classic memory feeling.